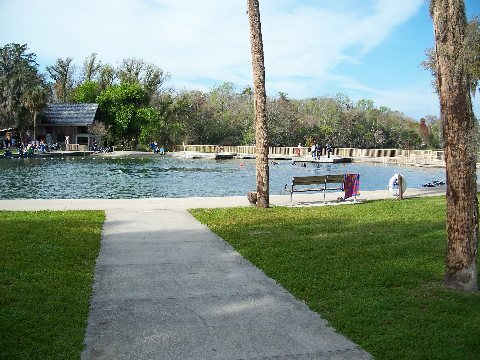 Enjoy swimming in the 72 degree spring and have pancakes or lunch at the Old Spanish Sugar Mill Restaurant, open 9-5 on weekdays and 8-5 on weekends and holidays, serving until 4:00. Call (386) 985-5644 for further information. Take a hike on the Wild Persimmon Trail. The four mile trail meanders through oak forest, cypress swamp and abandoned agricultural fields. Deer and turkey can often be seen, and Florida black bears have been spotted occasionally. Please register at the Ranger Station. The Visitor Center features exhibits on the park's 6,000 year history and a DVD presentation on Queenie the water skiing elephant from the 1950s. It is open daily. From Highland Park Fish Camp DeLeon Springs State Park is a beautiful 12 mile boat ride through the Lake Woodruff wildlife refuge . When entering park by boat, there is no entrence fee. This island, located in the St. Johns River, welcomes visitors to enjoy nature and history in quiet solitude. The island is accessible only by private boat or park ferry. Stop in and walk through the impressive visitor center to learn more about the many inhabitants and uses of Hontoon Island over the years. Picnic areas include tables, grills, and a playground. 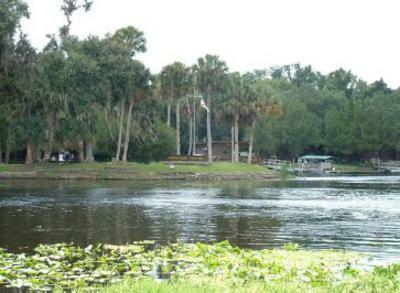 From Highland Park Fish Camp, Hontoon Island State Park is located 9 miles south on the main St. Johns River. Making for a perfect place for bathroom facilities and picnicking areas. Stroll along the one-third mile boardwalk that follows the flowing Blue Spring run through a shady hardwood hammock. In the winter watch manatees swim, rest and play in the warm 72- degree waters. Enjoy a short interpretive video about the manatees of Blue Springs. Vistorers are welcome to swim, tube, snorkel in the crisp spring waters. Sunbathe on the lawn, picnic or barbeque with friends. 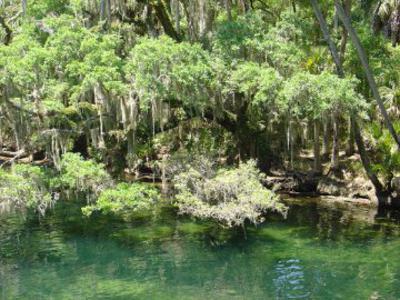 Blue Springs State Park is located 13 miles south of Highland Park Fish Camp located near marker 71 on the main St. Johns River. Enjoy a beautiful scenic boat ride on your way to a local water front restaurant.